Roofing Contractors Williams Lake | Home | Mainline Roofing Co. Ltd. In-House Custom Standing Seam Panel Forming Machine for Metal to fit all Residential and Commercial Buildings. No Job Too Big or Small, We Serve the Cariboo. Specializing in all Types and Sizes of Metal Roofing for Residential and Commercial. We are celebrating over 50 years of serving our clients in the Cariboo region. Rely on us for all your metal & flat roofing needs. Let us give your property a new makeover. The future of energy-efficient roofing is here. Request a metal roofing estimate. If you have any concerns about your flat roofing system, call us today. View our commercial projects and see what we can do for your business. Roofing acts as an external material in protecting your homes, offices and industries. Whether you’re looking to install a new roof or reroof the existing one, you’re at the right place. Since 1968, Mainline Roofing has been serving the roofing needs of British Columbia. Our roofing contractors in Williams Lake provide the expert workmanship and high-quality materials that you can rely on to keep your family and belongings safe. We understand your specific requirements and provide long-lasting roofing solutions that best suit your unique needs. 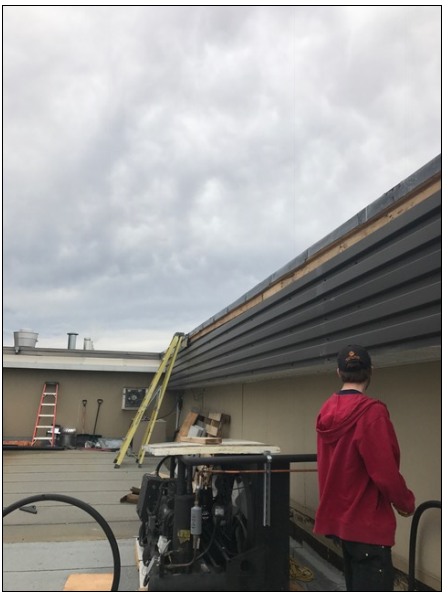 From metal and flat roofing to insulation, we provide all our services at reasonable prices, enhancing energy efficiency while providing effective weather protection. Fully insured, we offer emergency services and invite you to call us anytime. We provide free estimates and look forward to working with you. We are one of the founding members of the Roofing Contractors Association of BC (RCABC). Our skilled employees are well-trained and knowledgeable in the roofing industry. We can assist you in choosing the right roofing and siding for your home or office. From EPDM to fibreglass, we have the skills and expertise to get the job done on time. It’s our pleasure to help you get exactly what you are looking for.